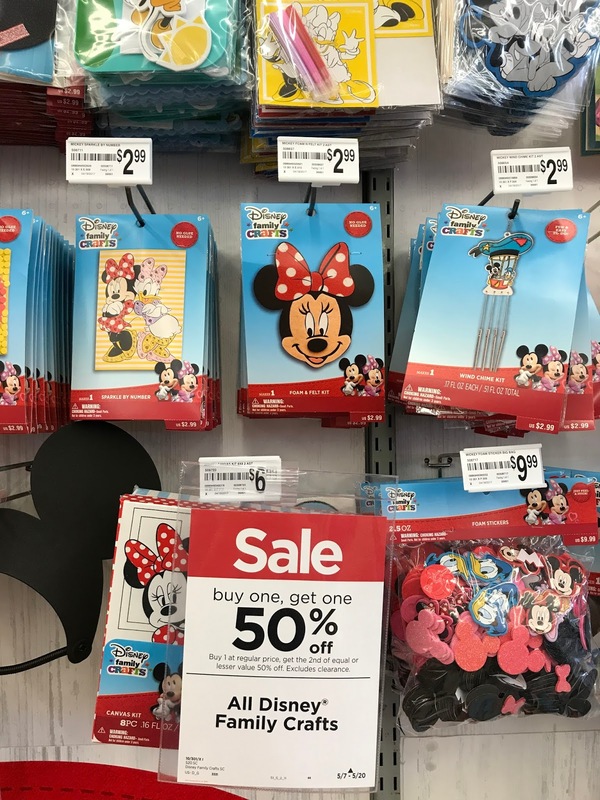 Michael’s has a big selection of Disney Family Crafts. I saw a whole section of Frozen and other Princesses, Mickey, Minnie, Finding Nemo, & Lion King. The crafts seems kid friendly with pre-cut shaped that you stick together or glue. A lot of felt, foam, coloring, building, and jewelry making. Seems like a good place to gather some Disney crafts for your next Disney party. There’s currently a sale on these items. It’s buy one, get one half off of lesser or equal value. You can check out the items online by clicking here. Sign up for Swagbucks and get a 2% back on your online Michael’s purchase, as well.